The Blue Angels, the U.S. Navy’s flight demonstration squadron, conjures visions of jets roaring overhead at speeds of more than 500 miles per hour. At live airshows, you’ll marvel at their technical skill as they fly in formations as close as 18 inches apart. But as you take in the pilots’ aerobatic feats, does your team at work come to mind? Your employees? Your business? 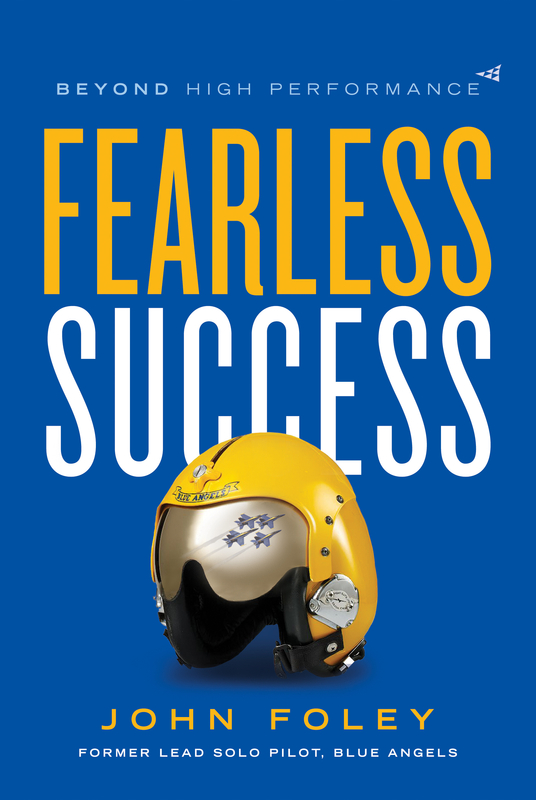 They should, says former lead solo Blue Angel pilot and Stanford Sloan Fellow John Foley, author of the new book Fearless Success: Beyond High Performance. The Blue Angels aren’t only an elite team; they offer organizations a blueprint to igniting performance. As Foley explains, the Blue Angels are able to consistently perform in extreme, unforgiving environments as a result of time-tested combinations of mindsets, processes, and culture. It’s a system that must work—because mistakes in an F-18 Hornet supersonic jet have massive consequences. Foley has combined his Blue Angel know-how with years of success as an entrepreneur and venture capitalist to advise more than 1,000 of today’s highest-performing organizations, such as Google, the Mayo Clinic, and Procter & Gamble. He offers this same knowledge to organizations, large and small, in Fearless Success. One of these concepts is what Foley refers to as dynamic focus: being aware of everything around you while simultaneously hyper-focusing on a particular task or variable. It’s like opening up a radar scope; you see everything that’s coming at you but can laser focus on what’s important, whether that’s an opportunity or a threat. Clearly, this would be a desired skill for any person in business. Foley’s techniques are also go-tos for top performers in the world of sports. In Chapter 3, for example, Foley talks about creating a trigger, a tool that allows you to switch your mind into a high state of awareness. As Foley recounts, “For the Blue Angels, our collective trigger was one of the steps on our preflight checklist: ‘Canopy down.’” As the canopy closed over the cockpit, issues in each pilot’s mind took a backseat. For Foley’s friend Russ Francis, a three-time Pro Bowl tight end, the last snap of his helmet’s chinstrap was a trigger; it blocked out any thoughts or distractions that could get in the way of his game play. To learn more about John Foley and his new book, visit his website.